HE'S been a military police officer in the Australian Army, a train driver and his current position is a supervisor at Pacific National. In a twist to his CV, Rockhampton man Roland Anselme is also a chandler. A chandler is a maker and seller of candles, soaps, oil and paints. The word is derived from Anglo-French word chandele, meaning candle. Candles have been around for over 5,000 years. Egyptians used them in 3,000 BC but it is believed the Romans developed the wicked candle before then by dipping rolled papyrus in melted tallow or beeswax. Over the centuries they were even made from animal fat at some stages before wax was discovered. 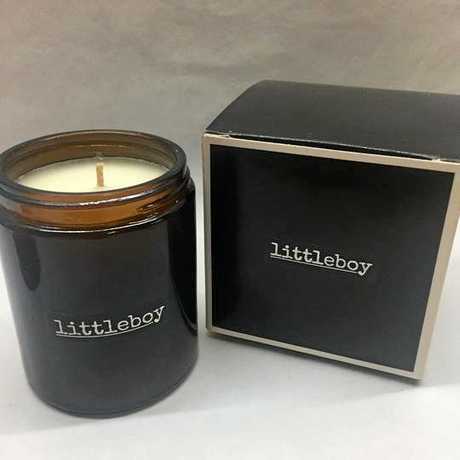 Roland and his family, wife Lisa and their three girls, Ava, Lily and Ella are the faces behind Litteboy, a Rockhampton-based business making and selling candles, wax melts, reed diffusers and body product business. This is the ninth edition in The Morning Bulletin's Home Grown series, where we go behind the unique businesses in Central Queensland and share their stories. 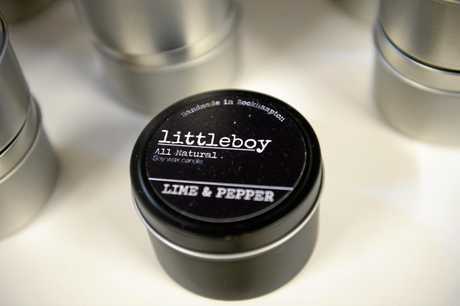 At the Littleboy workshop, the candles are made from soy wax which is an all natural base. The process is all handmade and each candle hand poured. While he started out on a kitchen bench, Mr Anselme now has a set-up in his downstairs garage where he makes all of the candles. First the container is prepared with the appropriate stickers and the wick is inserted. 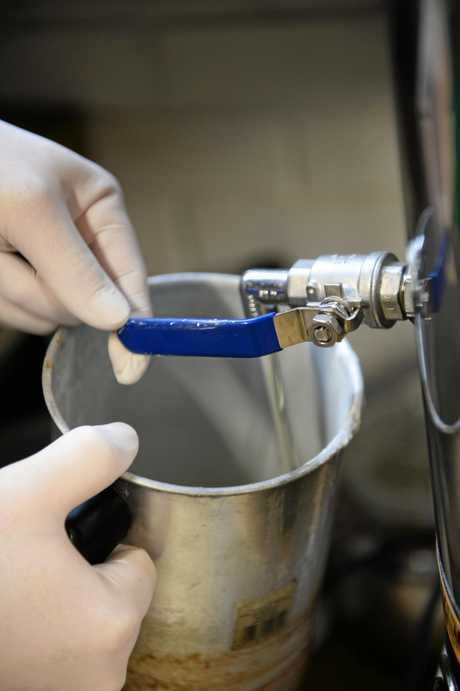 The soy wax flakes are poured into a professional pot where they are melted. This melted wax is then poured into a jug and the desired scent is added and mixed in. The fragrances are constantly mixed up to provide new options but they range from coconut lime and lychee peony which are very popular to the sea salt and sage and bamboo white lily. A new line is a sweet tobacco smell. From there, the candles sit and wait to set. He likes to cure the Littleboy candles for three days. This is where it can become tricky, as the ambient temperature of the hot, humid CQ weather can play havoc with how it will set. "With temperature variation, going hot, cold, hot, cold, we are suffering making them at the moment,'' Mr Anselme said. It's also important to get the temperature just right to achieve the "perfect smooth glass top" on the candles. Over the years, the self-taught "chandler" has learnt the tricks of the trade. The business started around May 2014 and it began quite organically. Lisa had always been interested in candles and Roland began thinking about how he could make his own. Away for a project at work for eight months, Mr Anselme was only home every fortnight or so for a couple of days. In his downtime while he was away, he began researching how he could do it. After a few test batches here and there and many "flops", he found his way and they started to gift them to friends as presents. Soon after, friends were requesting to buy them and they slowly started developing the business. From small beginnings, they started to do market stalls every week. "If there was a market on, we were doing it," he said. From there, the customer basis started to grow and the momentum started gaining. They opened a website for online orders and eventually the business began to take care of itself. They also stock at a number of business around Rockhampton and Yeppoon, varying for gift lines throughout the year. They are now at the point where they don't have to go to as many markets this year, having only attended the big events such as the Rockhampton River Festival. "At Christmas last year we doubled sales from the year before and so far we are on track for this year," Mr Anselme said. Another thing setting their candles and products apart from others on the market is the quality put into them. Each candle is individually created and tended to with love and care. Mr Anselme said the "scent they throw off" is also a selling point, as their smell is very evident. In an open plan living area, their candles can still be smelt throughout the large space. Coming from such a "industrial" background, candle making was not ever something he imagined he would be doing five years ago. Many of the other workers at the railway workshop are also ex-Army and Mr Anselme got teased a bit about his "girly" side hustle. "I coped a bit of a stick at the start," he said. Mr Anselme said going from shift work to making candles at home were two "completely different worlds". "The only thing is patience.... one little thing can make a difference... you have to modify with changes," he said. Wife Lisa explained there was quite a creative side in the family, with her and girls being able to draw and do talents arts and crafts. Mr Anselme used to paint figures as well, do dioramas and be quite hands-on. "It wasn't unnatural evolving into something else," Mrs Anselme said. From here, the family have some big plans for Littleboy. A key element of their business mantra is to keep evolving. 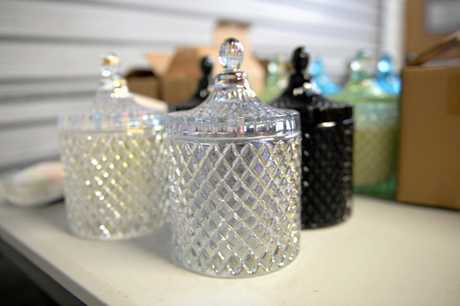 That is offering new scents, containers, styles and lines while keep the one same quality product. They would like to expand into essential oils and herbal candles using scents like rosemary and thyme - but that can be quite expensive. But one thing they will not steer from, Mr Anselme said, was they would always remain handmade. People have asked before why don't they get machines that can pour the wax for them - but that is not what their business is about. Eventually one day, Mr Ansleme would love to see the business get so big they would have to employ people to make the candles. In the meantime, they are anticipating their busiest time of the year as Christmas approaches andalso the end of school for teachers' presents.